Madison is an 11 piece outdoor wicker sectional set that seats seven and comes with two wicker coffee tables and two wicker ottomans. Madison is our eleven piece wicker sectional set that features a three person sofa, a two person love-seat, two club chairs, two ottomans, and two wicker coffee tables topped with tempered glass. 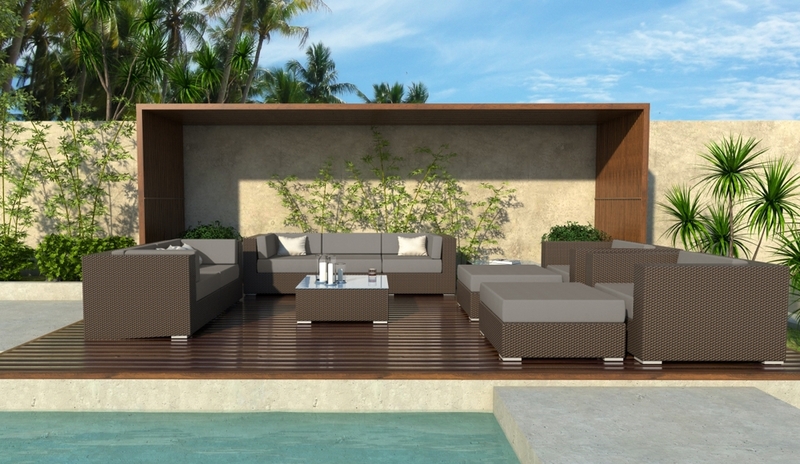 All of our outdoor sectionals are modular and can be rearranged. Mix and match sets, or add on single pieces to make your sectional truly your own.